So&Such welcomes you to an evening of unreleased music, nerdy production chats and interesting discussions about the terms and conditions of the contemporary music landscape – with a focus on our beloved Malmö. The evening will start with a new edition of our recognized PASS THE AUX concept – creating a new platform for upcoming producers to highlight, discuss or just vibe with new unreleased ideas. It’s easy, if you’re a producer (or artist) with unreleased things that you would love to showcase in a context like this – bring your ideas on a USB or your phone and pull up. 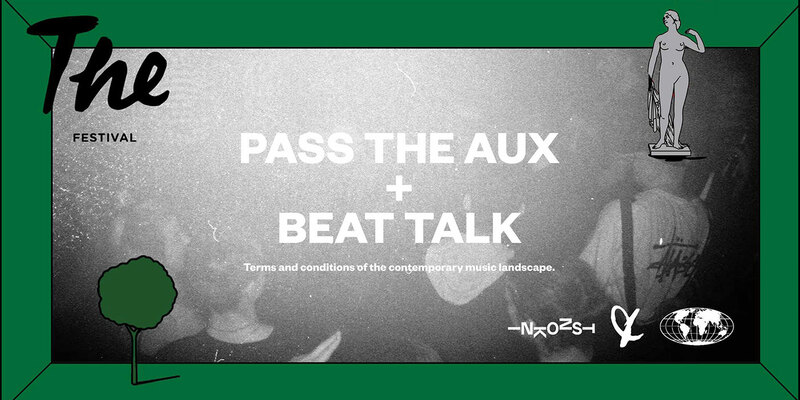 PASS THE AUX will be followed by BEAT TALK, an interesting panel discussion regarding the opportunities and boundaries of being a music producer/artist, a music collective or any other part of the complicated music field of today. The talk will be divided into two parts – production and distribution – with a range of interesting guests. Hosted by the Malmö journalist/DJ Lautaro Cubilla.